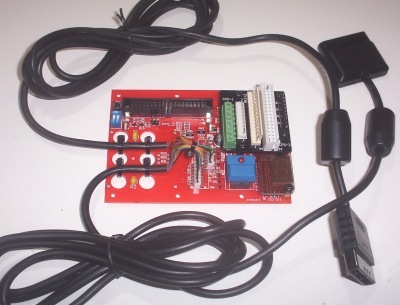 This adapter is for connecting video game consoles to a JAMMA arcade machine. It is suitable for use with pre-JAMMA cabinets and 'open air' arcade montiors too. 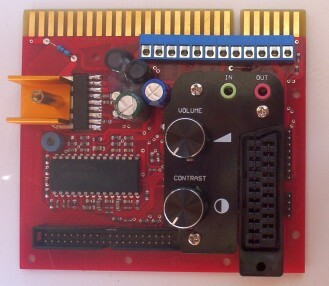 The main adapter board, pictured below, contains audio and video amplifiers. The arcade controls are handled seperately with expansion boards. * 6 Watt audio amplifier with large volume control. * Line level stereo audio output for use with external amplifier. * Line level audio input. * RGB Video amplifier which contains clamp (DC restoration) circuit. * Brightness (DC level) and contrast (amplitude) of the video output are adjustable. * Separate Horizontal and Vertical as well as Composite sync outputs available. * Sync input can be in the form of Composite sync or Composite video. * Flexible controller expansion system. Passes the controller lines through to terminal blocks. For easy connection of third party controller interfaces, keyboard encoders, game pad hacks, and the like. Passes the controller lines through to a female JAMMA edge connector. 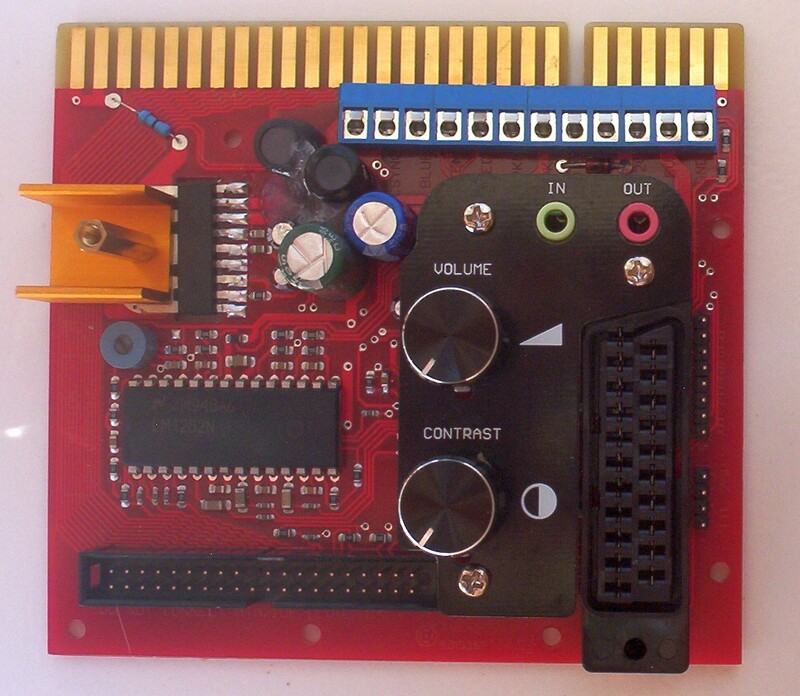 This board is useful in situations where you already have some other kind of JAMMA interface for your game console which has fuctional controls but does not perform well in the audio/video. Use the SCART To JAMMA Adapter for excellent audio and video results, while using others for controls only. 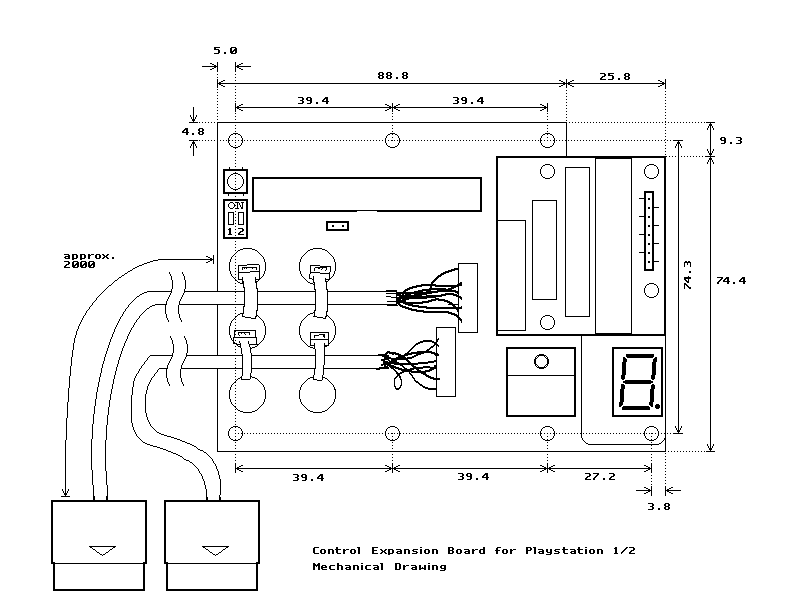 Controller board 3: Sony Playstation 1/2 Interface. Fully Programmable Sony Playstation controller interface. Up to 28 individual inputs are available for arcade pushbuttons and joysticks. Each one of them can be programmed to any function found on player 1 and player 2 control pads. 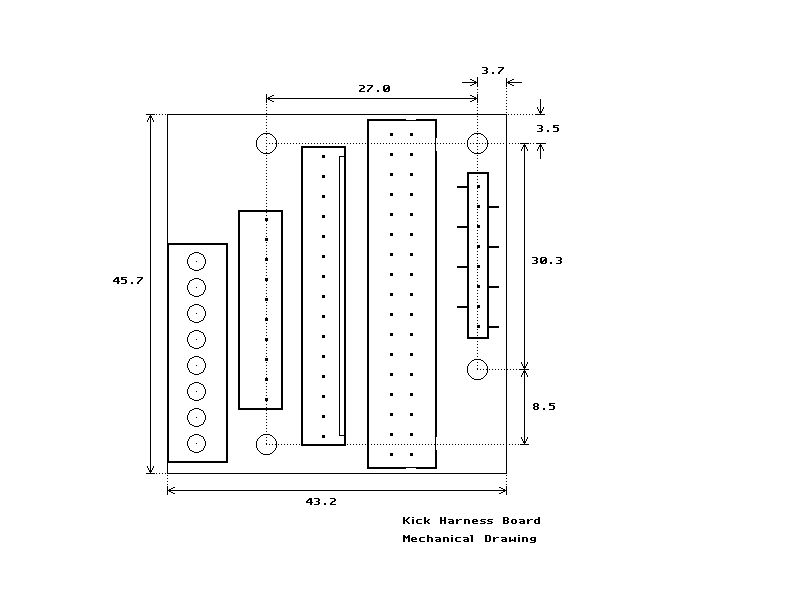 Profiles (joystick/button mappings) are stored in the large internal non-volatile memory. Synchronous Rapid Fire. Any input may be configured for rapid fire to reduce finger wearout. Intuitive User Interface. Profile selection and programming is done entirely on the unit itself. There is no need to connect a computer or run special configuration software. Hardware Test Mode. Can test if the hardware is operating correctly and troubleshoot problems with strangely wired arcade control panels. Eliminates the need for multimeter tests. Excellent Compatibility. This device may be connected to all Sony Playstation and Playstation 2 hardware, as well as many different third party controller converters. Kick Harness Support. 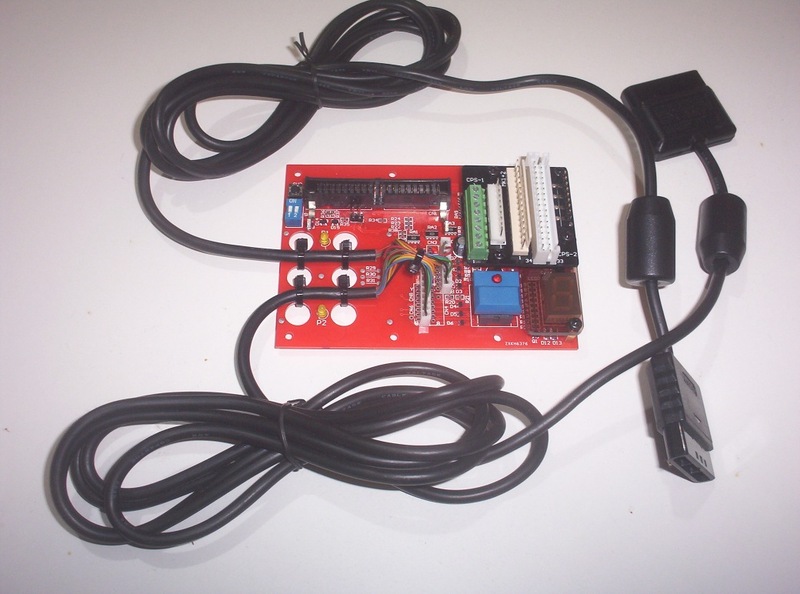 Several popular JAMMA plus kick harnesses are supported with the (optional) kick harness board. For orders and enquiries, please contact Tim at the following address.